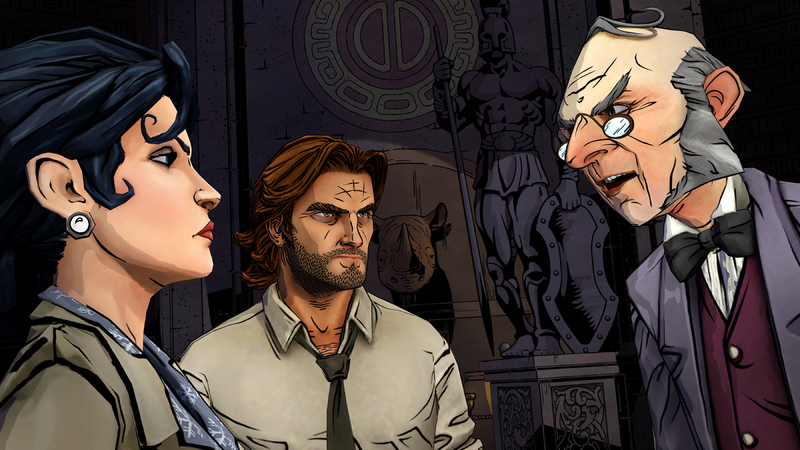 A little over a month ago I played through The Wolf Among Us Episode 2: Smoke & Mirrors to find the story about Bigby Wolf and his Fabletown friends had progressed nicely since the first Episode: Faith. Now we’re at the halfway point with Episode 3: A Crooked Mile becoming available to play……Will the Wolf manage to solve the mystery of the Fabletown serial killer or will he succumb to the evil within? Please be aware that whilst I’ll go to every effort to keep this review spoiler free, a few little bits and pieces may well drop through the net. 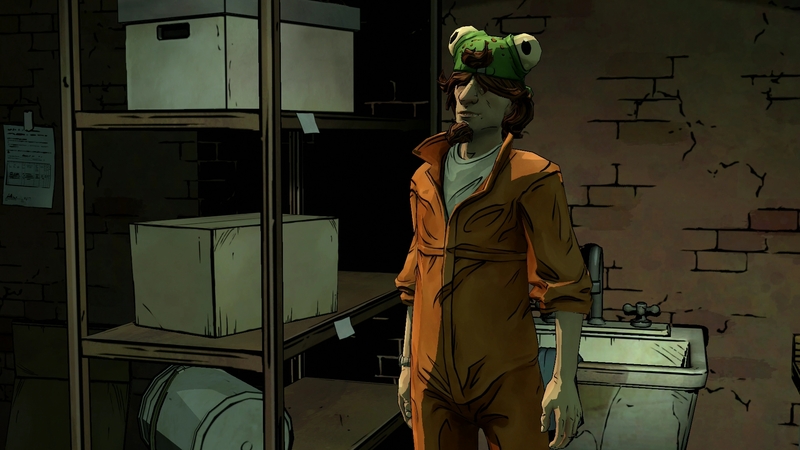 I’d seriously advise you starting your Wolf Among Us experience at the start with Episode 1 but assuming you’ve already partaken in the previous events (and shame on you if you haven’t), then feel free to read on! Episode 3 kicks off precisely where Smoke & Mirrors left off. After finding another body, Bigby Wolf is straight onto the case in his pursuit of Ichabod Crane and it’s a mere matter of seconds before we get the sense that Bigbys anger levels are starting to rise to an uncontrollable level. He is the big bad wolf after all and whilst he’s so far managed to keep a lid on the temper, A Crooked Mile sees the first real test of the wolfs positive mental attitude. As is now the way with any title coming from Telltale Games, the suspense and mystery surrounding numerous characters within The Wolf Among Us is superbly actioned. Whilst I personally don’t find the story quite as involving as what is found in The Walking Dead (especially the way Season 2 of the zombie evader has gone), it is still of a very high quality and keeps you on your toes from the very first minute right up until the end of the two hour long episode. I think it’s pretty fair to say that this third part is a bit more of a slow burner than the previous two chapters, although the last 15 minutes of action are something to behold. It’s a shame that it takes 90 minutes or so for things to really roll but as with any story, there is always going to be a piece of it that isn’t quite as demanding or engrossing as the rest of it. Thankfully this has seemingly come right in the middle of the Fabletown story and from here on in I fully expect it to start blowing some minds. Those who have played through the previous chapters will know that that game started off with a nice combination of slow-paced investigation and the fast timing of numerous quick time events. This decent 50/50 mix changed in Smoke & Mirrors to a mostly investigative game style and that has continued on in A Crooked Mile, possibly to some enjoyment detriment. There are very little skilled quick time events in this third part, with the time instead filled by area exploration, item searching and general enquiries. Whilst many may well enjoy this, I found that I needed a bit more action to keep me interested during the slightly numb middle section. Unfortunately, I also still have the same feeling that has hit me whilst playing both previous chapters. 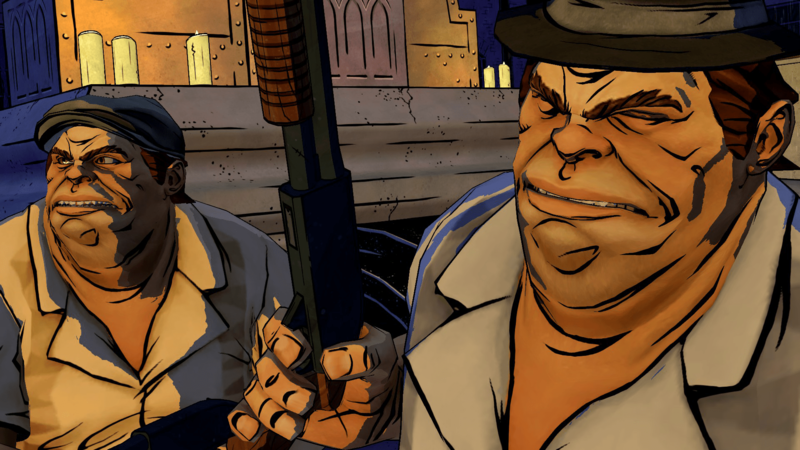 The Wolf Among Us prides itself on numerous story avenues decided on by the players choice of action, conversation and timing, but still, on multiple occasions the feeling that the story progresses along its own lines comes to the fore. 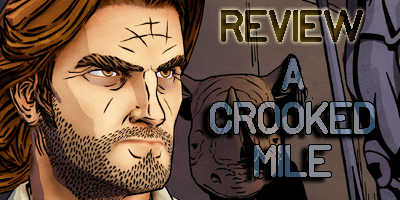 Episode 3: A Crooked Mile is still a good solid chapter in the story of Bigby Wolf, Snow White and friends but it isn’t one that you’ll find as a defining point of the tale. There have been a few new characters unearthed but for the most part, yet again the story revolves around two or three main guys with only fleeting glimpses from any exciting newcomers who we’ll just have to hope to stumble upon next time round. How things will pan out, I’m still unsure but I for one am still looking forward to taking things on further with Episode 4: In Sheep’s Clothing soon.